Ideal Corporate Housing provides Kentucky, West Virginia, & Tennessee with quality, affordable and professional furnished corporate housing options since 2016. The Commonwealth of Kentucky is one of four U.S. states constituted as a commonwealth (the others being Virginia, Pennsylvania, and Massachusetts). Originally a part of Virginia, in 1792 Kentucky became the 15th state to join the Union. Kentucky is the 37th most extensive and the 26th most populous of the 50 United States. We not only serve the beautiful Bluegrass State, we live here, were born and raised her and we know it well, and therefore can help make you feel at home here for as long as you stay. We provide temporary housing solutions for those traveling for work, for those families who are in-between homes, for homeowners who have experienced property damage (we’ll handle all your insurance claims for housing costs), those traveling for military or government assignments, students and faculty of local colleges, and we work closely with human resources departments for arranging corporate travel or executive housing as needed. Kentucky is known as the “Bluegrass State”, a nickname based on the bluegrass found in many of its pastures due to the fertile soil. 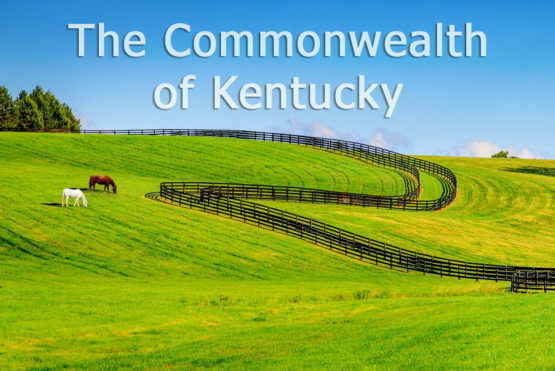 The precise etymology of the name “Kentucky: is uncertain, but likely based on an Iroquoian name meaning “(on) the meadow” or “(on) the prairie”. Others have put forth the possibility of Kenta Aki, (translates as “Land of Our Fathers”) which would absolutely come from Algonquian language and, therefore, would probably have derived from the Shawnees. Mammoth Cave is the world’s longest cave and was first promoted in 1816, making it the second oldest tourist attraction in the United States. Niagara Falls, New York is first. Whiskey may be made everywhere from Brooklyn to Scotland but in 1964, Congress declared bourbon “America’s Native Spirit.” That means to be called bourbon, it must be made in the U.S. But really, everyone knows that means Kentucky—95 percent of the world’s bourbon is made in Kentucky. The song “Happy Birthday to You” was the creation of two Louisville sisters in 1893. There is a legend that the inspiration for Stephen Foster’s hymn like song “My Old Kentucky Home” was written in 1852 after an unverified trip to visit relatives in Kentucky.